Based in France, Qobuz has been operating since 2007, but until now has been available only in a few European countries. In January, at the 2018 Consumer Electronics Show, Qobuz announced that it would launch a North American service this year. The US would come first, with Canada following a few months later. 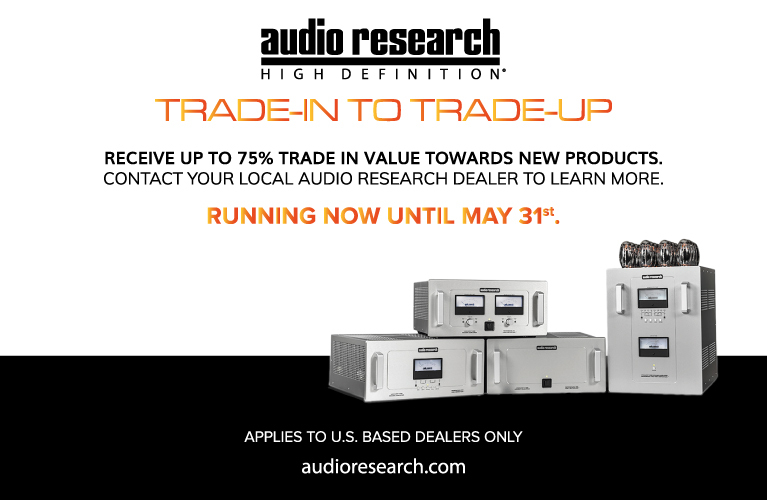 That launch was supposed to happen at the 2018 Rocky Mountain Audio Fest, in October. In late September, David Solomon, Qobuz’s chief evangelist for hi-rez music, told me that that date had slipped, and that Qobuz would announce its North American launch date “certainly in the last quarter” of 2018. I’ve had a demo account of Qobuz since last January, and have been listening to Tidal’s Masters tier since its launch, in January 2017. I’ve had ample opportunity to compare the two services. However, as I completed this feature in late October, the North American version of Qobuz was still a work in progress. My demo account of Qobuz was for the European version. Because Qobuz must negotiate licensing agreements with rights holders for each region in which it offers its service, the eventual selection of music available on Qobuz US might well differ from what I’ve been enjoying, as might the software and the user interface. Tidal, too, is in flux. That service has desktop and mobile apps, but with a couple of exceptions, Tidal’s mobile apps don’t yet support hi-rez playback. Rumors have circulated for months that Tidal would soon issue apps permitting hi-rez playback on mobile devices, but as I put this piece to bed that had yet to happen. Of course, streaming services are always in flux -- in terms of the content offered, the software and user experience, and which devices are compatible with which services. But the current situation is unusually fluid. Qobuz’s arrival in the New World promises to stoke one of audio’s hottest controversies: the merits of Master Quality Authenticated (MQA) technology. Tidal uses MQA for its high-resolution Masters tier; Qobuz uses the nonproprietary FLAC format. Playing the same recordings, does one of these services sound better than the other? Do Tidal and Qobuz sound different at all? Comparing the sound quality of the two services can help shed light on the MQA debate. MQA vs. non-MQA is the latest of audio’s wars of religion, and one of the most bitterly fought. Maybe that’s because so much of the fighting now takes place on social media and Internet forums. Granted, the combatants aren’t impaling their enemies or burning them alive, as happened in Europe’s wars of religion in the 16th and 17th centuries. Even so, I’m repulsed by the ad hominem slurs and character assassinations that have marked the debate. This behavior has implications far beyond audio: It poisons public discourse throughout the world. The MQA debate can’t be avoided, because sound quality is one factor that listeners must consider when choosing between Tidal and Qobuz. But Tidal’s use of MQA and Qobuz’s use of standard FLAC have many other implications, notably the equipment required to get the most out of each service. There are other important issues: the music available on each service, and those services’ user interfaces. Originally developed by UK-based Meridian Audio and announced in 2014, MQA was subsequently spun off as a separate company. MQA packs high-resolution audio into a file about 50% larger than a lossless standard-resolution file, using a process MQA poetically terms “musical origami.” The limited amount of energy in higher frequency bands (above 22.05 or 24kHz) is “folded” into the lowest bits of a 24-bit/44.1kHz or 24/48 file. When played through an MQA-compatible system, high-resolution audio is “unfolded” and passed on to the DAC. Critics of MQA question the need for reduced file size, citing the availability of fast broadband Internet service. That’s true for people in urban centers, but rural residents aren’t so fortunate. In our home in Toronto, Canada, the download speed is typically over 80Mbps. Qobuz and Tidal are both rock-solid. At our vacation home in a small beach town on Lake Huron, the fastest Internet service available to us has a rated download speed of 6Mpbs. Often, the actual speed is 2Mbps or lower. With Qobuz, I frequently experience dropouts at this location when playing hi-rez music. This happens less often with Tidal. According to MQA, the anti-aliasing filters used in recording and the reconstruction filters used in playback add ringing artifacts that smear sharp transient sounds, such as a staccato piano note. Depending on the filter design, this ringing can occur before and after the transient, an effect that never occurs in nature (or in analog recording). Filter pre-ringing can disrupt a recording’s portrayal of space, scale, and timing, MQA says, and add glare to the sound. During MQA encoding of existing digital recordings, a secondary filter is applied to reduce the ringing artifacts introduced in the A-to-D process. During playback through an MQA-capable DAC, the reconstruction filter algorithm is designed to minimize ringing artifacts in the music being played. The need for this processing, and its efficacy, have been hotly debated on Internet forums and in the audiophile press. MQA’s claims are controversial, to say the least. Even if the masters Tidal and Qobuz use for their hi-rez streams are different, comparisons are justified from a real-world perspective. These, after all, are the options available for people who want to stream in hi-rez. Tidal shows the most recent Masters Quality Albums on the home page of its desktop app. Choosing the View All option will display the most recent 500 albums in Masters quality. On the basis of Tidal’s app, it’s hard to verify the million-track claim. According to a list on the Meridian Unplugged forum (self-described as “the most complete list of MQA albums so far found on Tidal”), there were over 12,600 MQA-encoded albums in Tidal’s Masters tier as of late October. Whatever the number of hi-rez tracks on Tidal, it’s a small part of its total catalog, which, according to Wikipedia, now numbers 58.5 million tracks. But Tidal’s hi-rez catalog is clearly growing, with new albums added every week. In January, Qobuz claimed to have a million hi-rez tracks (80,000 albums), compared to 40 million tracks in CD resolution. According to Solomon, Qobuz had “over two million” hi-rez tracks as of late September. I find more of the music I love in hi-rez on Qobuz than on Tidal, but my tastes fall outside the mainstream. As of late October, Qobuz had 153 albums by the early-music specialist Jordi Savall, 38 of them in hi-rez. Tidal had 150, but none in hi-rez. Tidal had 101 albums by the jazz and classical pianist Keith Jarrett, 21 of them in hi-rez. Qobuz had 213 Jarrett albums, 21 in hi-rez. But in Tidal’s app, Jarrett’s work is confusingly spread among three different categories: Albums, Compilations, and Live Albums -- if you’re searching for a specific album by him, you might well miss it. Even more confusing, while most of Jarrett’s live albums are indeed found in that category, a few are listed under Albums. In my experience, Qobuz manages metadata better than Tidal -- it’s easier to find the music you’re looking for. While all genres are represented in Tidal’s Masters tier, it skews to mainstream tastes. I’ve found hi-rez albums there that I don’t see on Qobuz. Both services have hi-rez versions of the 2015 Paisley Park remastering of Prince’s Purple Rain. Qobuz offers the album in 24/44.1 FLAC, Tidal in 24/192 MQA. It’s impossible to go through tens of thousands of albums to see which service has the more interesting hi-rez library -- and, of course, everyone will have different ideas of what makes an album interesting. Moreover, Qobuz’s North American and European hi-rez offerings could differ. Music lovers will have to assess this for themselves. MQA-encoded audio can be distributed in standard file containers (e.g., WAV, AIFF, FLAC, ALAC), which can be played on non-MQA equipment at standard resolution (16/44.1 or 16/48). MQA says listeners will enjoy some of the “temporal deblurring” benefits of its encoding process even through playback systems with no MQA capability. Of course, the gold standard for MQA playback is to use MQA-capable hardware. MQA-capable DACs are now available from many companies, including dCS, exaSound, and Mytek, to name only a few. MQA decoding is also offered in some amps and preamps with built-in DACs, as well as in powered speakers and CD players. Some portable devices, such as Astell&Kern digital players and a few high-end LG smartphones, also have MQA capability. Many listeners will be unwilling to buy new hardware just to stream hi-rez audio from Tidal. But if you’re playing music from a PC or Mac, there are some useful halfway houses. Tidal’s desktop apps for Windows and macOS, as well as the Amarra, Audirvana, and Roon music-management softwares, all have MQA capability. 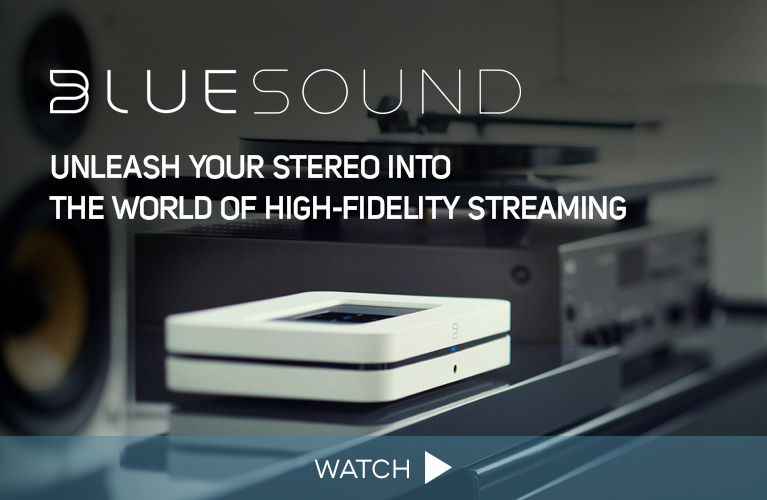 They can perform the first “unfolding” of an MQA stream, then pass data on to the DAC. In this case, listeners get the benefit of MQA encoding, plus hi-rez audio up to 24/88.2 or 24/96, with a non-MQA DAC. If they’re using a DAC with MQA rendering capability (such as AudioQuest’s DragonFly Black 1.5 or DragonFly Red), they’ll get full MQA playback -- not just resolution beyond 24/88.2 and 24/96, but also MQA’s playback filtering. That can’t be done with a non-MQA DAC; because the software doesn’t “know” the characteristics of the DAC, it can’t apply a suitable complementary filter. To enable MQA decoding in Tidal’s desktop app, access the Settings menu and select Streaming. Then, in the list of Streaming Audio Quality options, choose Masters. The situation with Qobuz is much simpler: If your system will play hi-rez FLAC files, you can stream hi-rez music from Qobuz. All you need is the Qobuz app, which is available for Windows and macOS. No extra settings are required. If you’re using a streamer rather than a PC or Mac for in-home playback, there is a question to consider. Does your hardware have client software for Tidal and/or Qobuz? If so, you’re good to go for that service. But with Tidal, you’ll be limited to CD resolution unless you use the streamer with an MQA-capable DAC. In the desktop apps for both services, you can create playlists, and save your favorite albums, tracks, and artists for easy recall. Tidal groups your preferred albums, tracks, and artists (and videos) under the heading My Collection, which is prominently displayed in the left-hand pane of the home screen. Qobuz groups these as Favorites, accessible by clicking the little heart icon at the top of the home screen. Discovering new music is a big part of the appeal of streaming services, and for this, Tidal and Qobuz offer different tools. In the Home menu of Tidal’s app are listings and playlists of new Masters albums. In the Explore menu you can check out playlists, browse new albums, and view essential recordings of your preferred genre. For most genres, Tidal will expose users to some pretty interesting music. (For classical it’s kind of pathetic, but most services have trouble with this genre.) Tidal recommends new music based on tracks you’ve played, and I’ve found its recommendations pretty reliable. Tidal also offers exclusive concerts and podcasts, and has a separate section, “Tidal Rising,” devoted to emerging artists. In Qobuz’s home screen you can view new releases in your preferred genres, and listen to playlists highlighting new releases, and others that focus on specific performers and labels. The New Releases menu has a feature I especially like: Press Awards, which lists albums that have received awards or high ratings from such publications as Gramophone, Jazz News, Diapason, and Fono Forum. I have found loads of great music with this tool. Qobuz and Tidal both offer artist bios and album commentary, but Qobuz has more of this enhanced content, and it’s of better quality. Qobuz also has a really nice extra: With many albums, there’s a Read Digital Booklet option that you can click to read liner notes. This is available in the Qobuz desktop app, but not with players like Audirvana. Overall, I prefer Qobuz’s interface and discovery tools; but in terms of musical tastes, I’m kind of an outlier. Tidal users have another software option: Roon. Tidal is integrated into Roon Labs’ subscription-based music-management software. If you’re a Roon user, you’ll get more extensive artist bios and album write-ups than you get on Tidal’s own app, as well as a richer, more attractive interface and enhanced metadata. But Roon isn’t cheap: $119/year, or $499 for a lifetime subscription. Tidal and Qobuz both have mobile apps for iOS and Android devices. If you’ve designated favorite albums, artists, or tracks on either service’s desktop app, they’ll show up in the mobile app after you’ve logged in. Most of the differences I’ve noted about the desktop apps apply here as well. Tidal’s and Qobuz’s mobile apps let you download music to your smart device via Wi-Fi and cellular. Your downloads remain on your device as long as you’re logged in. Log out, or delete the app, and they’re gone. You can select the quality level separately for Wi-Fi and cellular, which is a good thing. Unless you have a really big data plan, you don’t want to be downloading (or streaming) lots of hi-rez music over cellular. The attraction of this feature is that it lets you load up your device with hi-rez or lossless music when you’re on Wi-Fi, then listen to it when you’re on cellular, or when you have no coverage at all. Qobuz’s mobile apps support hi-rez playback, for both streaming and downloads from the service. As of this writing Tidal’s mobile apps don’t support MQA, so you’re limited to CD resolution. That could change at any time. There have been rumors for several months that Tidal will release mobile apps with MQA support, but this has yet to happen. However, Tidal does support MQA decoding on a few high-end smartphones, including LG’s G7 ThinQ, which I recently reviewed for Simplifi. A footnote to that review: Just after I completed it, LG announced its first Android One smartphone. The G7 One has the same sleek cosmetics and bright 6.1” screen as the G7 ThinQ. But it dispenses with LG’s Android skin, and ships with only Google apps -- there’s no pre-installed app for playing locally stored music. While the G7 One has the same ESS Sabre HiFi Quad DAC as the G7 ThinQ, it doesn’t support MQA playback, contrary to reports on at least one audiophile site. Other differences include a less powerful processor, less built-in storage (32 rather than 64GB), and a single rather than double rear camera. On the road: For in-car listening, Tidal’s mobile apps are compatible with both Apple CarPlay and Android Auto. That means you can connect your smart device to a compatible car stereo and control playback from the dashboard. Before taking a long trip, I use Tidal’s mobile app to download some favorite new albums to my iPhone via Wi-Fi, then cue up the music I want from my car stereo’s touchscreen. As of this writing, Qobuz’s mobile apps don’t support CarPlay or Android Auto, so dashboard control of playback isn’t possible. You can connect your mobile phone to a CarPlay or Android Auto component and stream from Qobuz, but you have to select music from the phone. Listening to the same hi-rez tracks on the two services, I’ve generally found that Qobuz sounds a little more incisive and detailed, Tidal a little more rounded and organic. But these differences are tiny. For this report I did additional listening, and it mainly confirmed my earlier experiences. To compare the sonic differences between Tidal and Qobuz on a system that decodes MQA in software, I began with Where the River Goes, a new album by an all-star jazz quintet led by Austrian guitarist Wolfgang Muthspiel (24/88.2, ECM), played through a Mac Mini running Audirvana, connected to a Dynaudio Connect wireless module that sends digital audio to Dynaudio Focus XD 200 active bookshelf speakers. In “Clearing,” my favorite track from this album, were the transients of Muthspiel’s guitar and Brad Mehldau’s piano a tiny bit more rounded in the Tidal version, a little sharper in the Qobuz version? Did Eric Harland’s snare drum have a bit more snap in Qobuz? Were the backgrounds in Qobuz a bit “blacker”? Forced to respond, I’d answer all these questions in the affirmative, while acknowledging that expectation bias could have played a role in my observations. If there were any differences, they were minuscule. In this system, Audirvana does the first unfolding of MQA content, but the Dynaudio Connect/XD system is not MQA-compatible, so it doesn’t do MQA playback filtering. My headphone rig does. My Mac Mini feeds an iFi Audio Micro iDSD Black Label DAC-headphone amp, now MQA-capable following a recent firmware update. Listening again to “Clearing” through HiFiMan’s Edition X V2 headphones, my impressions were similar. In a quiet section at the end, where Muthspiel plays an acoustic guitar while Ambrose Akinmusire responds with some wonderful trumpet effects, backgrounds seemed a tad “darker” via the Qobuz stream. The Qobuz stream also seemed more incisive, making me more aware of the interplay among the musicians. But there was a slightly greater sense of space in the Tidal stream, and instruments sounded a little more embodied. Again, the differences were tiny. My recent review of DALI’s Callisto 2 C active speakers provided an opportunity to compare Qobuz and fully decoded Tidal Masters versions of the same music in my main listening room. 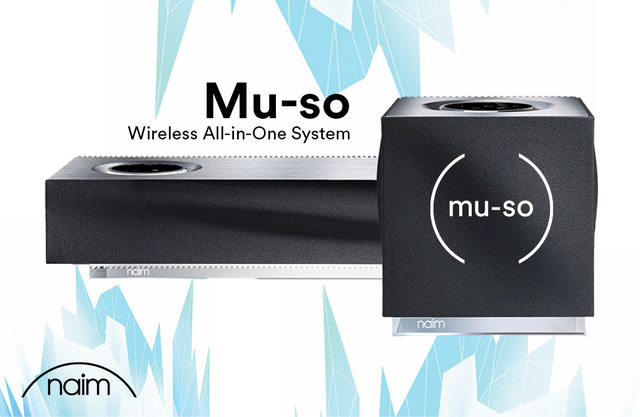 Among other benefits, installing the optional BluOS module in the system’s wireless transmitter adds MQA decoding. I hate sounding like a broken record, but with “Re-Melt,” from the Tord Gustavsen Trio’s The Other Side (ECM), Tidal’s 24/96 MQA stream sounded a little rounder and warmer through the Callisto system, Qobuz’s 24/96 FLAC stream a little more incisive. Again, the difference was tiny. The truth is, both sounded wonderful. What if I went back to an earlier time in the digital era, when recordings were usually captured, mixed, and mastered at CD resolution? Would MQA’s purported ability to reduce filtering artifacts make more of a difference here? I looked for classical recordings from that era by period-music specialists John Eliot Gardiner, Christopher Hogwood, and Roger Norrington. While their labels are supporting MQA, I found no Tidal Masters versions of any of their albums from that era. Moving to the mainstream, Tidal and Qobuz both had 24/88.2 versions of the 25th Anniversary Edition of R.E.M.’s Out of Time (Concord). I played both from Audirvana on my Mac Mini, through the iFi Micro iDSD Black Label and HiFiMan Edition X V2s. Was Qobuz’s FLAC version of “Losing My Religion” a tiny bit harsher than Tidal’s MQA version, or was I experiencing some form of expectation bias? I think I heard a difference, but whatever it was, it wasn’t worth worrying about. Over the last nine months I’ve conducted similar comparisons of music by Quicksilver Messenger Service, Led Zeppelin, the Doors, the Grateful Dead, and Yes; Haydn piano trios and Shostakovich symphonies; and jazz singers such as Norah Jones and Youn Sun Nah -- all with similar results. The Qobuz version usually struck me as more dramatic and exciting, with sharper transients. The Tidal version usually seemed a little warmer and embodied, more like music being produced by real humans. Sometimes I’ve felt quite confident in my opinions on the sonic differences, other times less so. But the differences have always seemed slight. I’m not agnostic about hi-rez streaming. I’ve consistently found that lossless services like Tidal HiFi sound better than services that use lossy compression; and that hi-rez services sound better still. Here’s one example. In “The Old Shade Tree,” the lead track of Chris Thile & Brad Mehldau, a wonderful collaboration between the bluegrass singer-mandolinist and the jazz pianist (Nonesuch), Tidal’s 24/96 MQA stream had a greater sense of space and less digital glare than its 16/44.1 FLAC stream. It wasn’t a night-and-day difference, but it was noticeable and worthwhile. My experience comparing Qobuz’s 16/44.1 and 24/96 FLAC streams on the same track was similar. Both were better than Apple Music’s compressed AAC stream, which sounded flatter and less engaging, with less space between the notes. Everything was more mushed together. That said, it was still satisfying -- more than good enough for casual listening. But there are better-sounding options, if you’re willing to pay for them. Apple Music and Spotify both charge $10/month (Spotify also has a free, ad-supported tier). Tidal charges $10/month for its Premium service, which uses lossy compression, and $20/month for its HiFi lossless/Masters hi-rez tier. As I wrapped up this piece, Qobuz still hadn’t announced its subscription prices for North America. In the UK, Qobuz charges £10/month for its Premium tier, which uses MP3 compression at 320kbps; £20/month for its Hi-Fi lossless CD-resolution service; and £25/month (about $32 USD) for its new Studio service, which offers hi-rez streaming up to 24/192. It would be nice to have a hi-rez streaming service that combines the best of Tidal and Qobuz: Tidal’s support of CarPlay and Android Auto and its integration with Roon, coupled with Qobuz’s more interesting catalog and richer interface. But that’s not how things work. In the real world, you pays yer money and you makes yer choice.